Eye Care Directory offers up-to-date information about the optical eyeglasses stores and eye doctors for your vision needs in the Tauranga of North Island. You may arrange an free eye exam, buy prescription eyeglasses, RX sunglasses or donate your old eyeglasses by using the contact information in the directory. In the Tauranga, optometrists can be found in the vicinity of a chain optical retail store, or in an independent optometrist's office. Optometrists are trained to address both vision refractive errors and eye health. Many optometrists sell high-end eyeglasses and contact lenses in their practices with the most professional possible services in addition to performing eye exams and writing prescriptions. Ophthalmologists are medical doctors (MD) in the eye care and vision health who perform eye exams, write prescription for eyeglasses, sunglasses and contact lenses, diagnose and treat eye diseases and carry out eye surgery. Ophthalmologist's responsibility is much beyond that of optometrist. Yes, using kinect damages your eyes because of the radiation. When you play it, the large number of radiation resource will make your eyes get tired easily. You should not play it often. You could just have the rest during the kinect. If your eyes feel not comfortable, you need to stop and have the good rest and use the eye drops. Can i wear sunglasses while batting? It depends on how fierce when you play bat. If you want to enjoy bat seriously, you'd better not wear common sunglasses because it may slide off your nose or broken that further lead damages to your. In fact, you can wear sports sunglasses, or known as goggles. 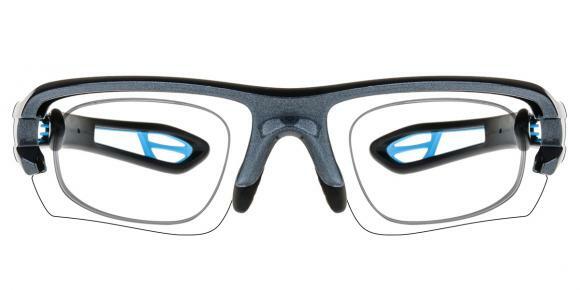 It will shield your eyes when you play bat. But they maybe not so cool as fashion sunglasses give. Anyway, keep eye health and safety is the prime important things. How to apply eyeliner when wearing my glasses? A winged eyeliner is good for highlighting your eyes, but it is quite a hard thing to do. If you can already do a winged eyeliner, apply the line and wing, then a thin line of pencil under the eye on the outer edge. If you can't do a wing, then a line is just as good. Lots of thick eyeliner above and below your eyes will not look good with glasses, you will look like you have coloured in the lenses, not a flattering look! Will round prescription glasses suit for teenager? Well, I think whether it is suit for you depends on your face instead of older people wearing them. If you have a round face, you'd better not wear a pair of round glasses again. There are some tips about faces and glasses. It may make you looks rounder and rounder. Wide face is not fit with round, oval or small glasses, glasses with wide, square or angular glasses will be better. Lozenge faces are also fit with round or oval glasses. But these are something public. I think teenager wear round and black glasses looks very cute. What are latest fashion glasses for men in 2012? In many cases, when we talk about the fashion, it seems that only the ladies have enough rights to enjoy but men. However, it is not true when choose the suitable and fashionable glasses for men. Let's have a look at the latest fashion glasses for men in 2012. The black frame eyeglasses and the nerd eyeglasses have been gaining increasing popularity in this year. 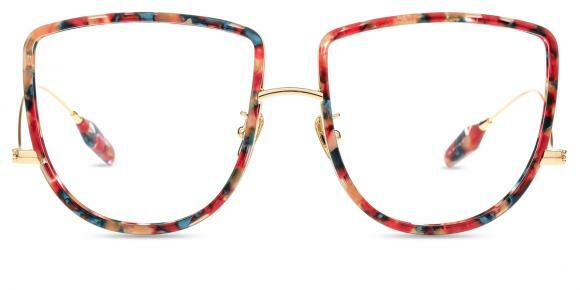 Beside, the cat eye eyeglasses are still the rather welcomed fashion elements among male customers. In early use reading glasses, is this strange? Sweetie, are you sure your headaches and dizziness are caused by your reading glasses? If they are a pair of multifocal glasses, I think it is common to suffer from these symptoms for a beginner. But if they are just a pair of regular reading glasses, I don't think they will bring these symptoms unless the prescription on the lenses is not fit for your vision correction. It could be the mistake of optometrist or the optician. You'd better have your eyesight checked again and have your glasses checked immediately. Wearing stronger prescription or weaker prescription is bad for our eyes. We must avoid wearing both of them. How to remove the designer label on my non prescription glasses lenses? If it is non prescription,you can use nail polish remover.Just have a try. What can cause high ocular pressure? High ocular pressure can be called ocular hypertension. An injury to the eye can cause ocular hypertension, because it damages the balance of aqueous production of eyes. Some eye conditions including pigment dispersion syndrome and corneal arcus is associated with ocular hypertension. If your sister is under such kind of situation, the eye doctor may recommend her to have more frequent eye exams. I also know that People with a family history of ocular hypertension will be at great risk to suffer from this. I donâ€™t know how to cure them. But I hope this answer can help you too. Is it safe to use the yearly contact lenses? Yearly disposable contacts are safe to wear if you pay much attention to the cleaness. How long can unopened contact lenses be stored? Go to have your contact lenses checked to see if it is still usable.